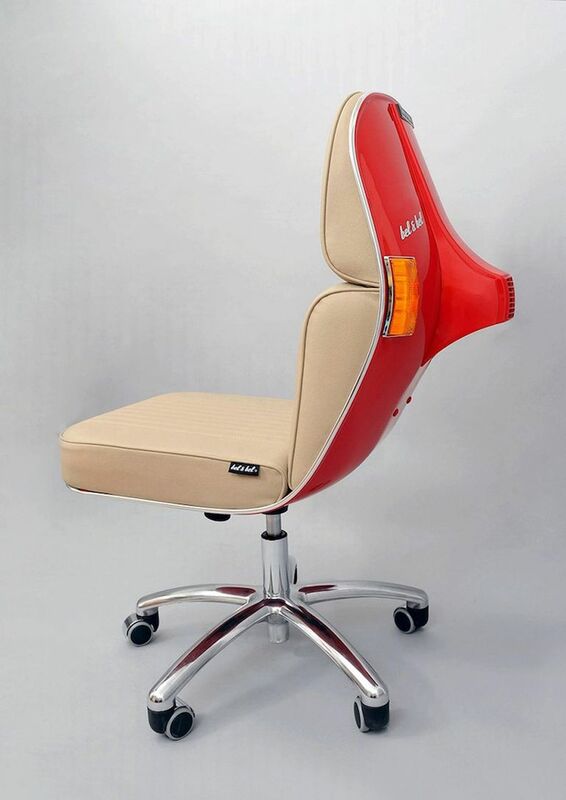 Bored of the furniture currently crowding your office? 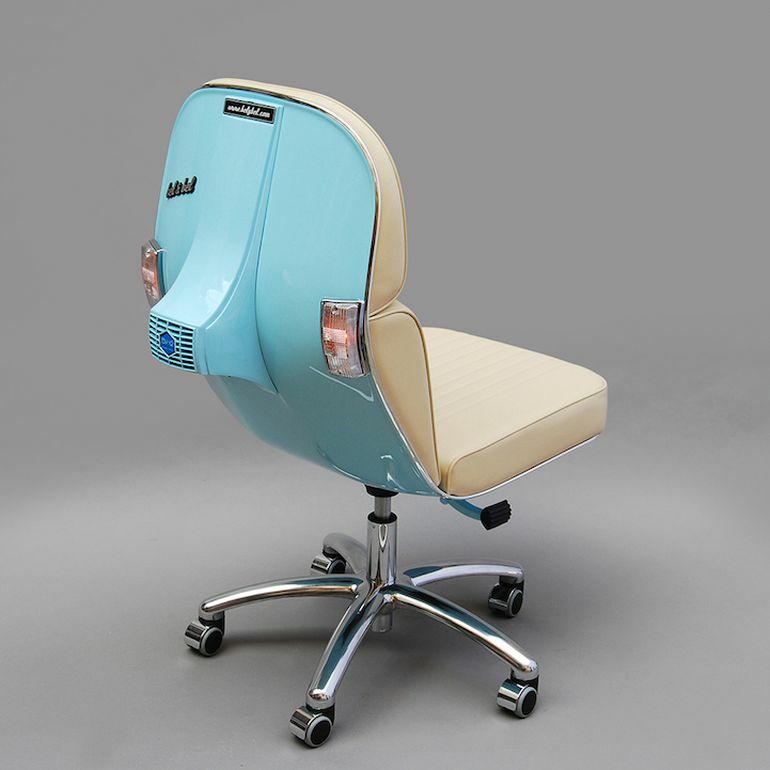 With the new Scooter Chair, you can now transform your work space into a trendy office of the future. 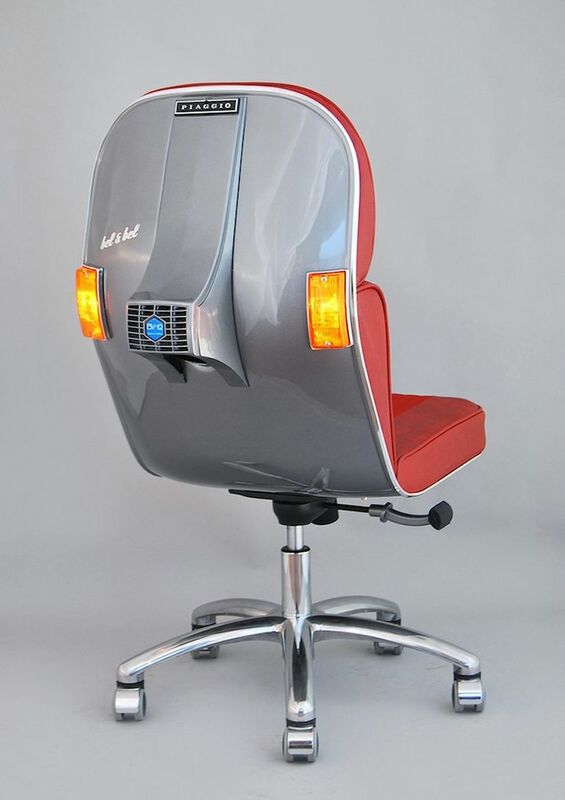 Designed by the team at Spanish studio Bel & Bel, as part of a limited edition series, this brilliantly unconventional swivel chair uses the original parts of the Vespa motorbike. Founded in 2005 by Jesus and Carles Bel, the studio specializes in upcycling existing, and often discarded, material, transforming them into innovative, modern creations. 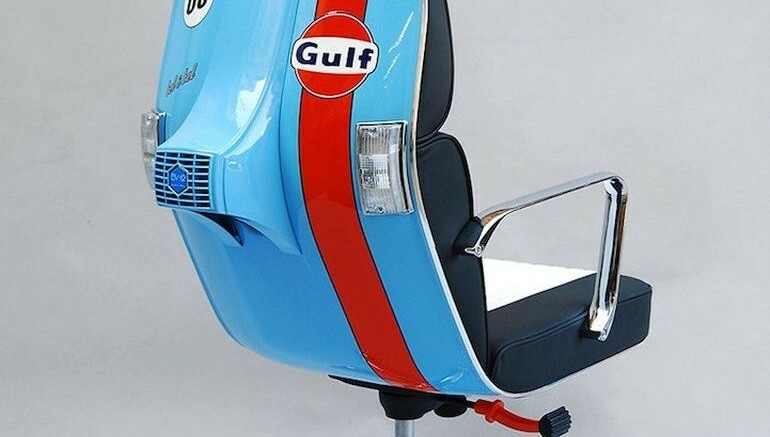 To construct the spectacular Scooter Chair, for instance, the team used the 1980s-style chassis of Vespas, repurposing it into the seat back. 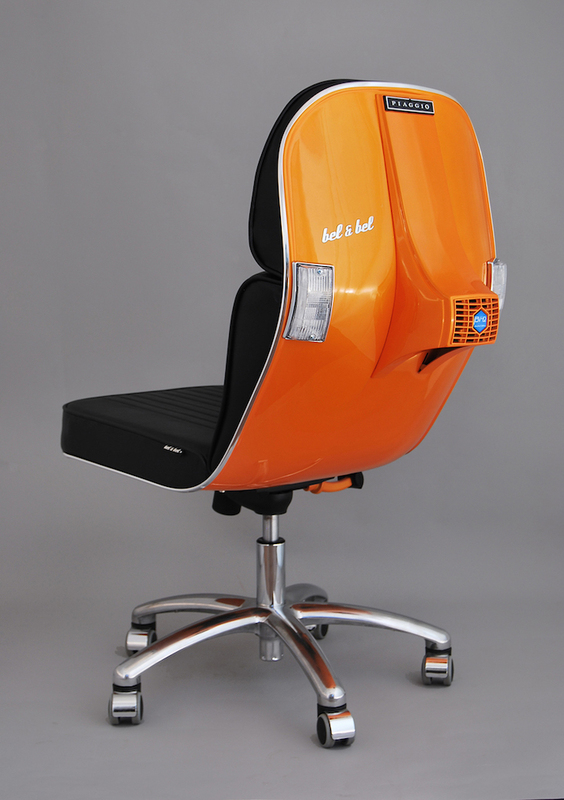 In addition to its ingenious design, the Scooter Chair boasts a range of features, including the option to recline, a strengthened internal structure for added support, soft tread-silent wheels, as well as a base that comes with a hydraulic piston for easy height adjustment. 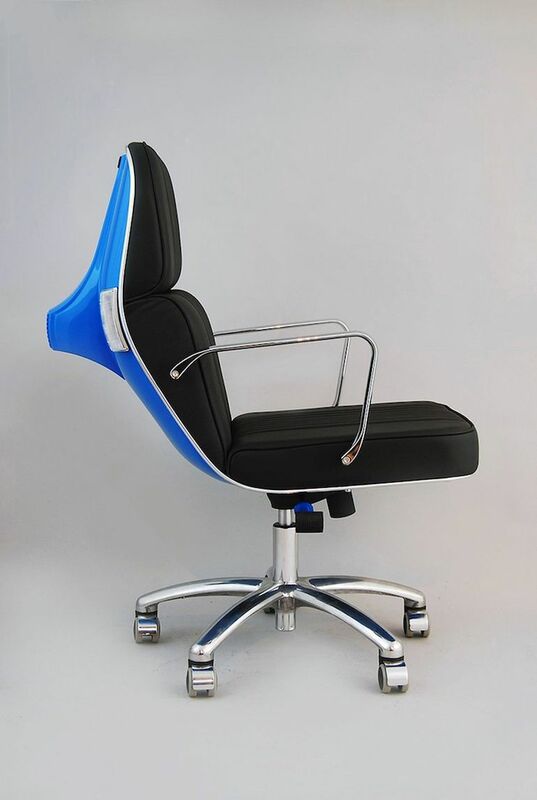 It’s simple, ergonomic design makes it an excellent modern desk seating, while the brightly-colored body and sleek, faux leather-covered upholstery together create an incredibly stylish appearance. 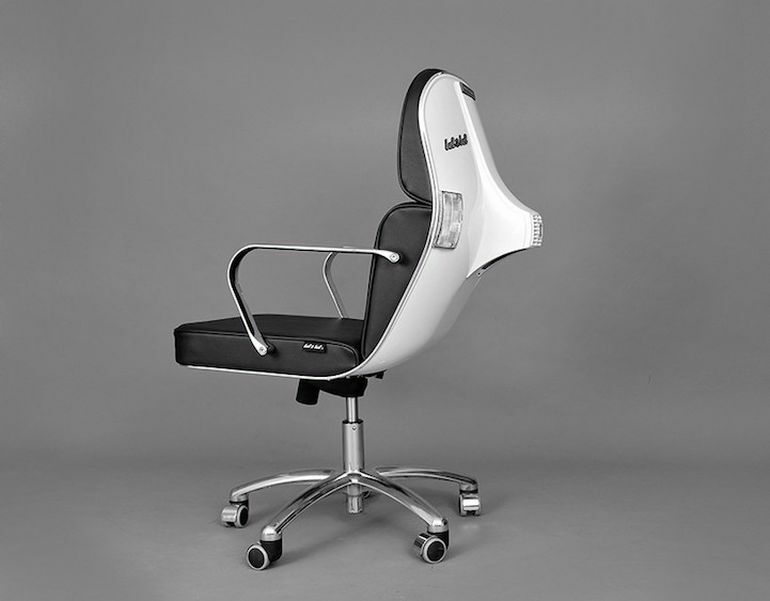 Each of these office chairs, according to the developers, is carefully handmade and customized by the team at Bel & Bel. Priced at $1,675 (approx. 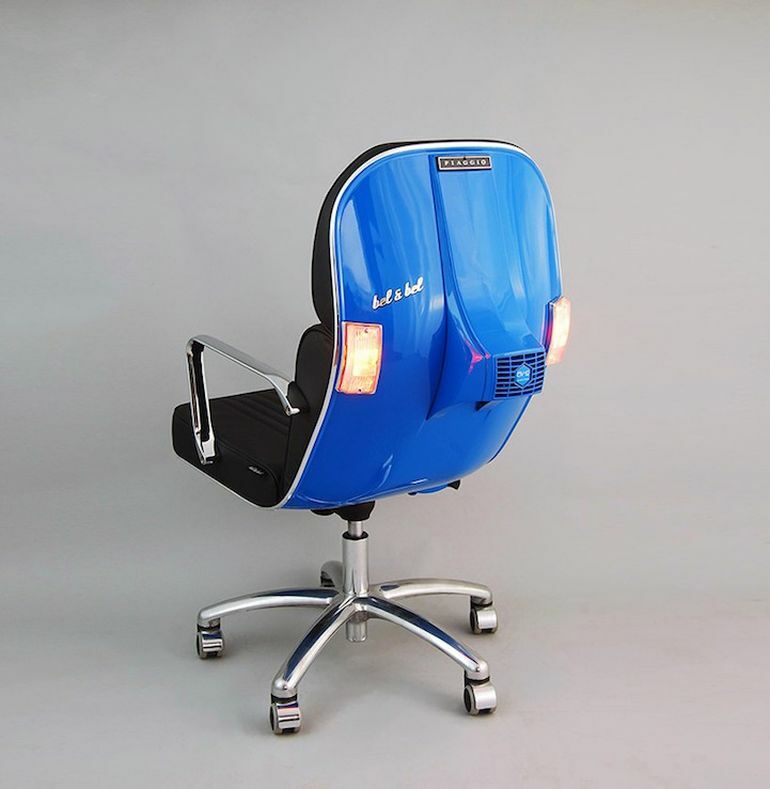 1,470€), the chair, which weighs around 20 kg, is available in a variety of color combinations. 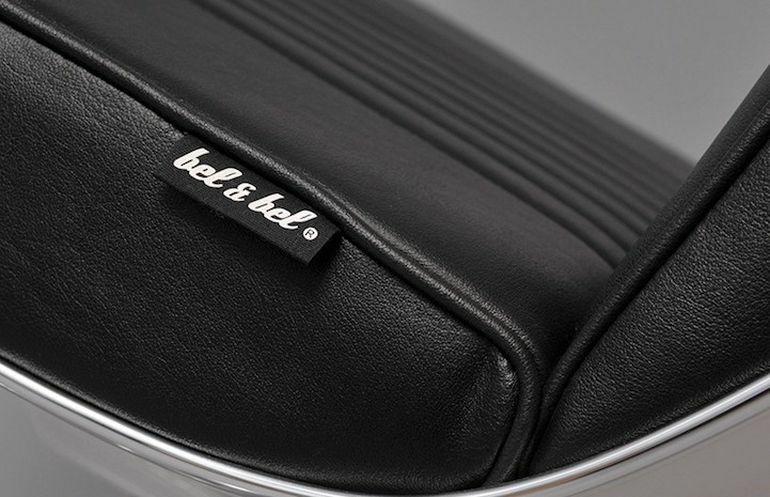 To know more about the Scooter Chair and other products by Bel & Bel, visit the company’s official website.